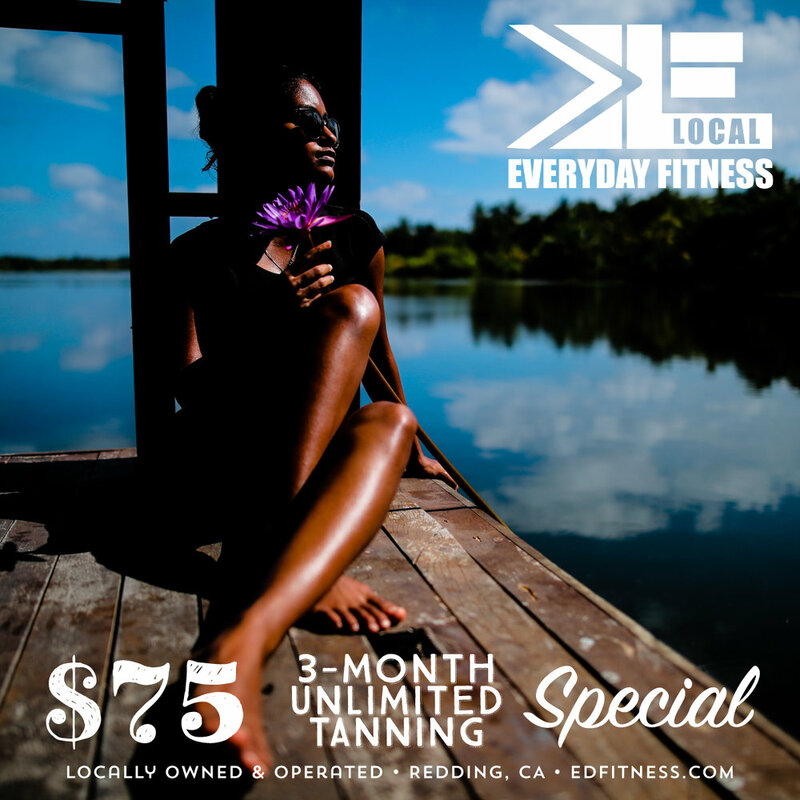 $75 3 Month Tanning Special at EveryDay Fitness! No terms or conditions. No contract or monthly billing. Just $75 for 3 months of unlimited tanning at EveryDay Fitness!! $75 3 Month Tanning Special! Get your tan on today at EveryDay Fitness! Try out our facilities for free with a one week pass by clicking the green button below. Newer PostGo Nose to Nose for Red Nose Day!